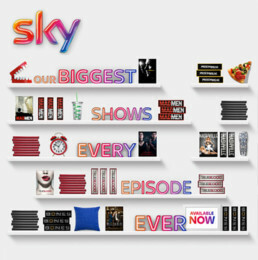 For the release of the new Sky Boxsets, they wanted something that would entertain as well as spread their message. The project included special appearance of celebrity Idris Elba heavily taking part in the campaign. Though given short notice, Gameyfi worked tirelessly to create the high budget online game. Multiple banners had to be designed to fit various sizes. This was a challenging project as it was required to work on Sizmek, Doubleclick Studio as well as Weborama. Our team was happy to deliver on time.